We see luckily more and more complex bodywork on supercars, my guess with all of these ball joints we could refine the angles, as this joint system is more forgiving. 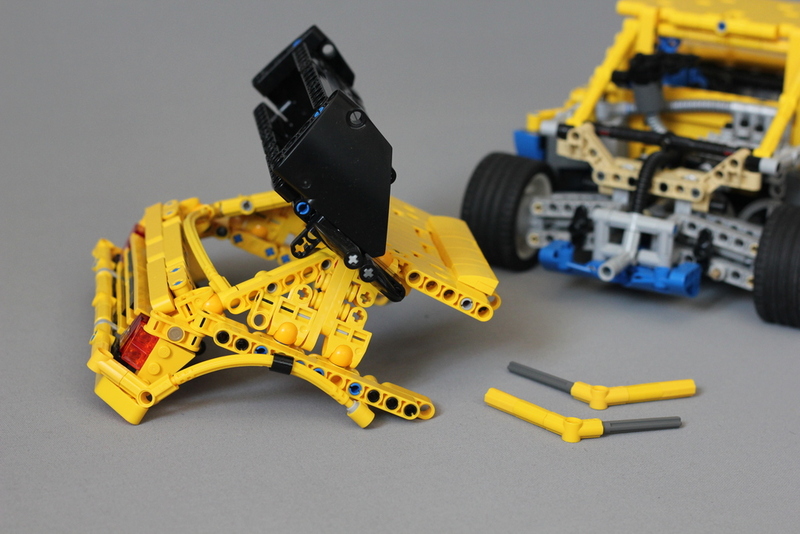 We have joints on them to connect to regular Technic parts, so there is a way to integrate them, even just to add a strange angle for a technic panels. 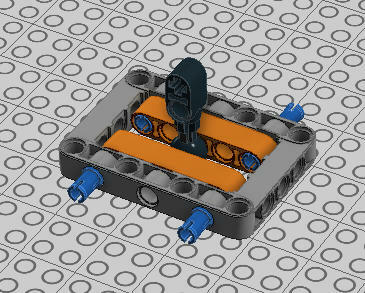 I am sure, my buggy's bodywork would also have a more stable construction with these parts, though I haven't tried yet. So I decided to throw the idea for the community, maybe some will think about it, and can make advantage. Maybe just a dead end street. Thoughts, references? Or just save the idea, maybe it comes once handy. I deem them simply not technic and I try to get rid of them. I don't actually know why noone uses them. I don't think they are ok for suspension, as these ball joints have tight fit, with noticable friction. That's why I was wondering about structural implementation. Actually I love to see how builders use the interoperability between Lego themes (mainly in Sci-Fi forum, called NicePartUsage), generate a lot interesting and eye-opener mocs. Some of these parts are just awesome for Technic. Not sure why they are barely used. There is a nice advantage (as was already mentioned) you can position parts in desired shape and they will hold in place thanks to friction. I couldn't build some pieces of my Peugeot 205 model without help from Bionicle/Hero Facory pieces, like front fenders (each holds on single ball joint) and especially the engine cover! Doesn't seem like a bad idea. 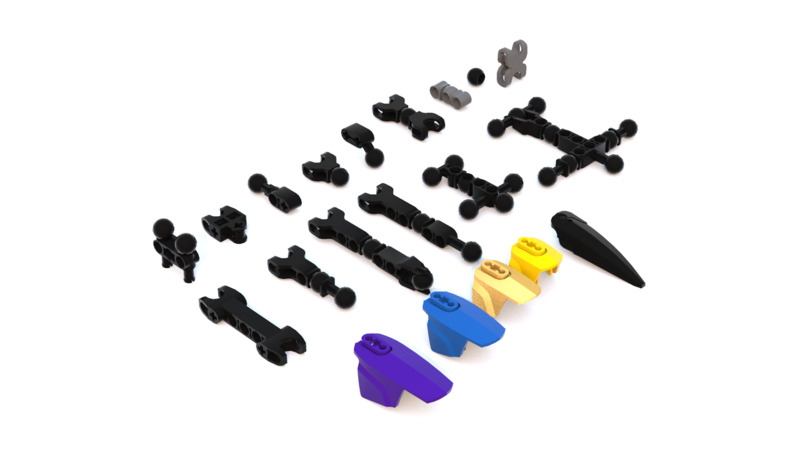 Even many of the pieces are classified as Technic connectors in BL. 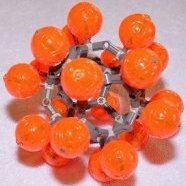 So, Technic purists, you don't have to worry about them . Now, this is a surprising method, I have never thought about. Thank You for sharing! @Zux: your Peugeot is a good example, I can spot more bionicle parts in the background. Interesting, I used similar pieces for the blade of my komatsu d575 but were city parts. I am also using lots of these bionicle parts for similar kind of suspensions and to create a "human" skeleton in 1:13 so I can have a realistic pose-able dummy for trucks and machinery. This is a beautiful machine. I do like the 'realism' such as recoil spring and equalizer bar. WOuld be nice to put a planetary gear redcution in the final drive, but that is not feasible with the current lego assortment of parts. Are you planning to publish instructions?